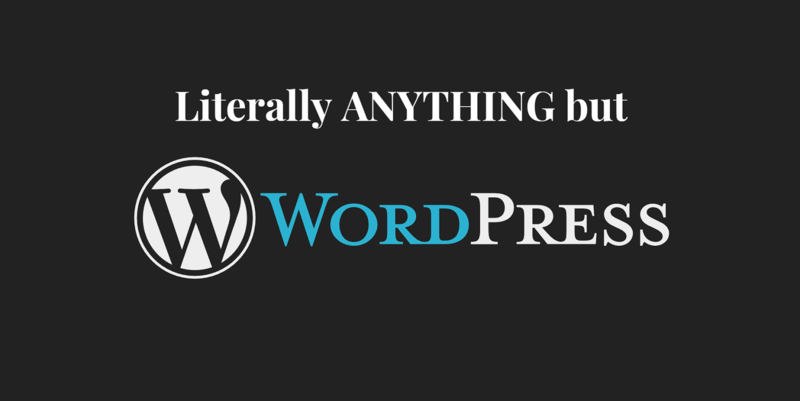 View Literally ANYTHING But Wordpress on Notist. When tasked with the responsibility of putting a website together for a client, millions of designers and developers have chosen Wordpress as their platform. They've trusted the popularity of the software and ventured out on the same website journey as so many before them: They chose a theme, bought some plugins, launched the site with part of it broken, and then got hacked so the home page became a Turkish flag, a pistol and the Jason Derulo song "Wiggle". True Story. Jooma & Drupal Concrete5 Grav Kirby Craft ProcessWire Pagekit some headless CMS static site generators If you're currently a Wordpress builder, this might be an interesting look at other options. If not, there's still a lot of cool CMS you could expose yourself too.